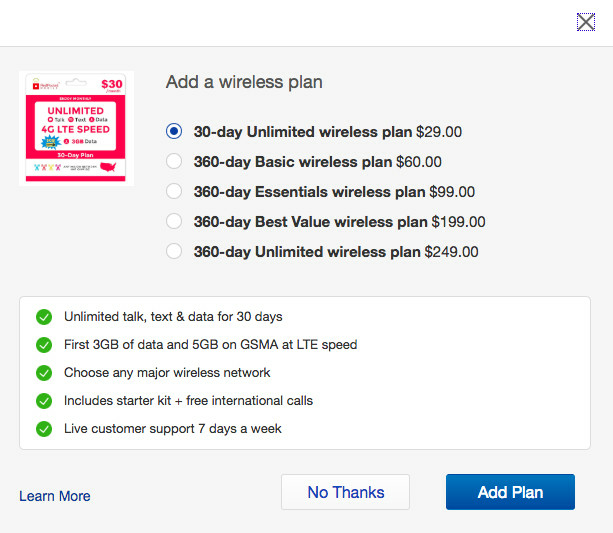 With eBay being one of the biggest marketplaces to buy and sell used phones, it makes sense that the site is now offering prepaid wireless plans as an add-on option in the item listing. A checkbox underneath the “Add to cart” button offers a 30-day unlimited wireless plan from Red Pocket Mobile for $29, and an option to upgrade to various 360-day plans when checked. 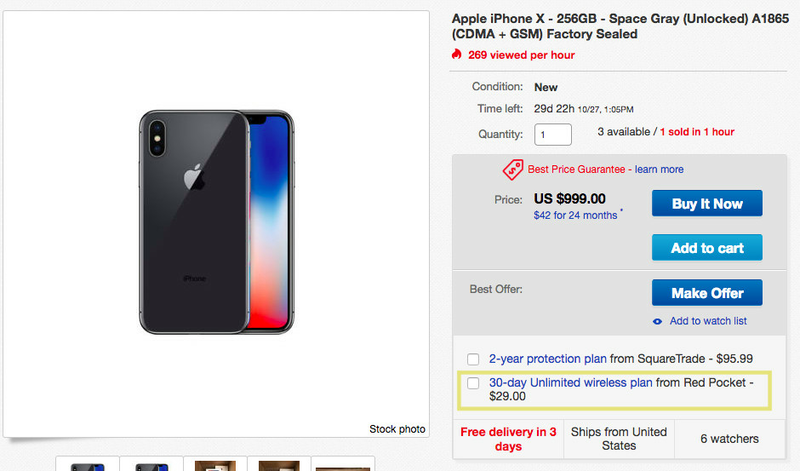 The release of Apple’s new iPhone XS and XS Max, plus the upcoming release of the Google Pixel 3 means it’s prime phone flipping season. As people begin to sell their old smartphones on eBay, buyers looking for secondhand devices can take the opportunity to pick up a wireless plan during checkout. Red Pocket is an MVNO that lets subscribers choose any major carrier they want to use, which is likely a big reason that eBay chose to partner with the company. It’s a partnership that makes a lot of sense for both companies, and anyone looking for affordable smartphone options. eBay is a good place to start looking for secondhand devices, considering how often the site has deals on tech products. If you’re ready to buy or sell your used smartphone online, check out our new guide on where to get started.